Street lights that are out can be reported using Eversource's website https://goo.gl/3ZrVVu. If your car is towed, please call (603) 357-9845 during business hours (Mon-Fri 8:00-4:00). After hours or on weekends call: (603) 357-9813. 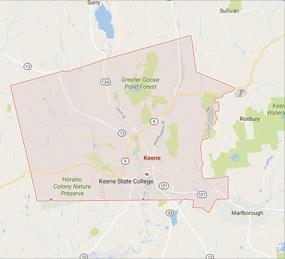 Keene is committed to sustainability, resilience and innovation.